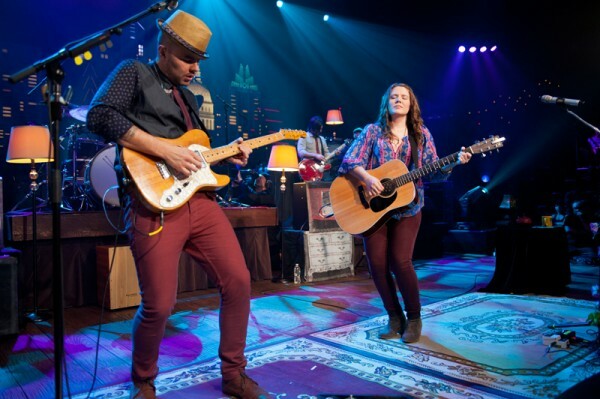 Austin City Limits presents an encore with two of the biggest acts in Latin music today, Juanes and Jesse & Joy. Colombian superstar Juanes headlines with a thrilling, high energy set, while Mexico City’s sibling duo Jesse & Joy sing a selection of their breakthrough hits. 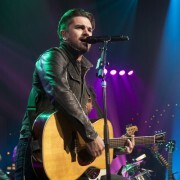 With six solo albums to his credit and multi-platinum sales of over 16 million, Juanes is the world’s leading all-Spanish language rock artist. 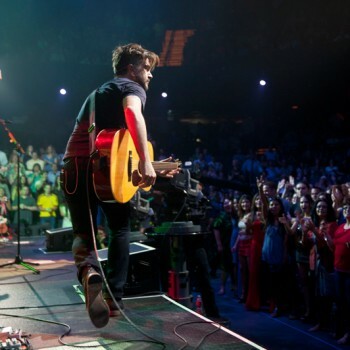 An electrifying guitarist and gifted songwriter, Juanes made his ACL debut back in 2005, and has since gone on to win multiple Grammy Awards and a record number of Latin Grammys. The Associated Press calls Juanes “the first truly international rock star to emerge from Latin America.” Juanes returns to the ACL stage in a dynamic performance, kicking things off with “Fijate Bien,” the Latin Grammy-winning title track to his debut album. He pays tribute to one of his inspirations—Bob Marley—with a Latin spin on the reggae classic “Could You Be Loved?”. By the time he launches into his huge hits, Juanes proves he doesn’t need to sing in English any more than he needs a surname to thoroughly rock the Austin audience. 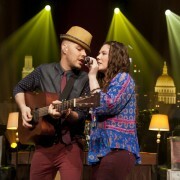 Jesse & Joy have become one of the most celebrated pop-rock acts to emerge in the Latin music scene since they formed in Mexico City in 2005. The musical siblings boast five Latin Grammy Awards, including four for their triple platinum 2012 album ¿Con Quién Se Queda El Perro? (“Who Gets the Dog?”) and their first Grammy Nomination this year for Best Latin Pop Album. The Los Angeles Times raves, “Their rootsy, soft-rock sincerity evokes ’80s country-pop, and Joy’s dulcet-but-earthy voice has been compared to those of Norah Jones, Alanis Morissette and, almost inevitably, Kelly Clarkson.” With Jesse Huerta on guitar, piano, drums, and background vocals and Joy Huerta on vocals and guitar, these siblings in sound deliver a breakout performance. A highlight is the duo’s emotional performance of their smash hit “Corre”— with the audience singing along to every word, waving their hands in the air, it’s a moment that reflects the truly universal language of music. Check out the episode page here for setlists and more. Keep up with ACL happenings via our Facebook and Twitter pages or our newsletter. Next week: Jason Isbell and Neko Case.